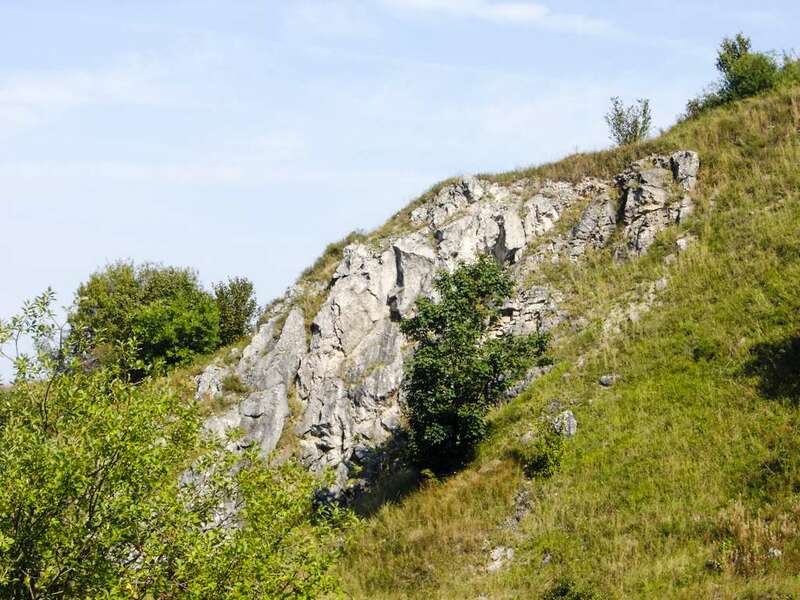 Rock structure- composition of crinoid limestone / calcit / is belonged to the morphological unit of Spiš- Šariš intermountainous. 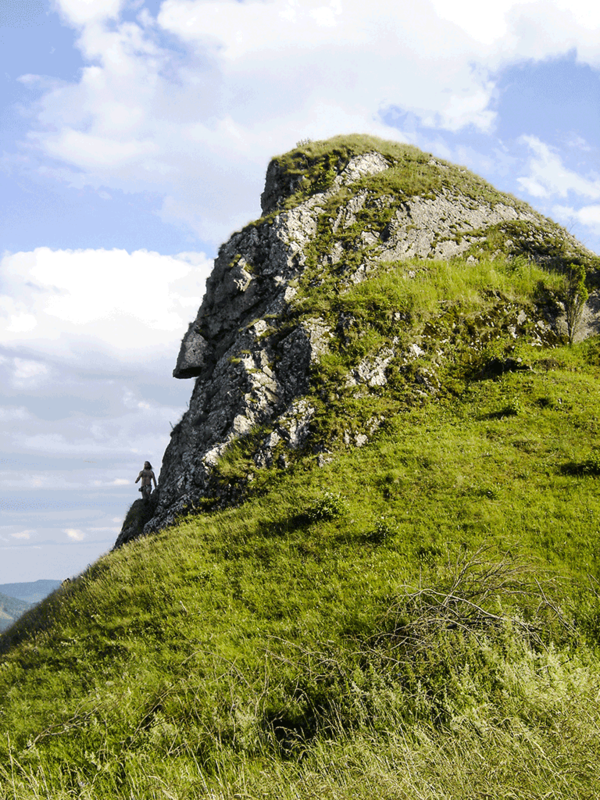 It is the part of rock zone extended as the arch from Zahorie through Suľov,Orava, Pieniny ,far to Romania. 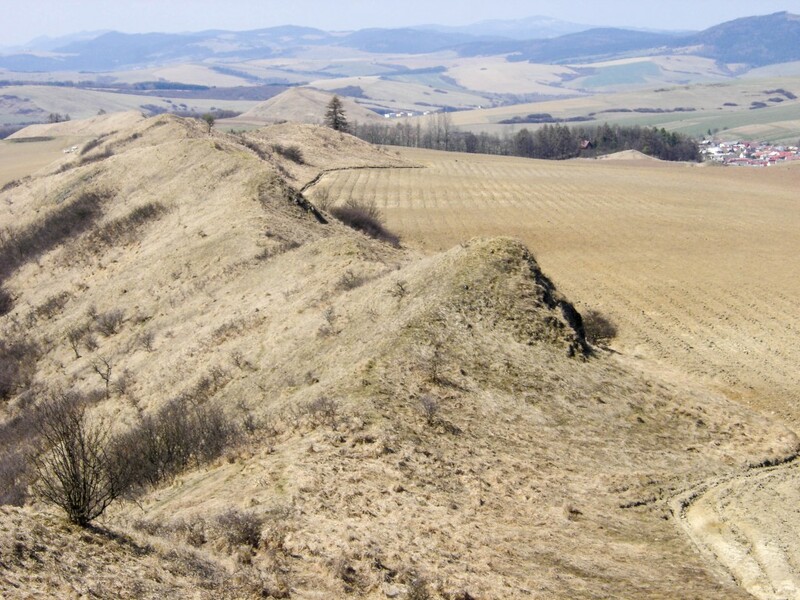 The closer rocks are known as the castles: Plaveč, Ľubovniansky, Kamenicky, Hanigovský ones. 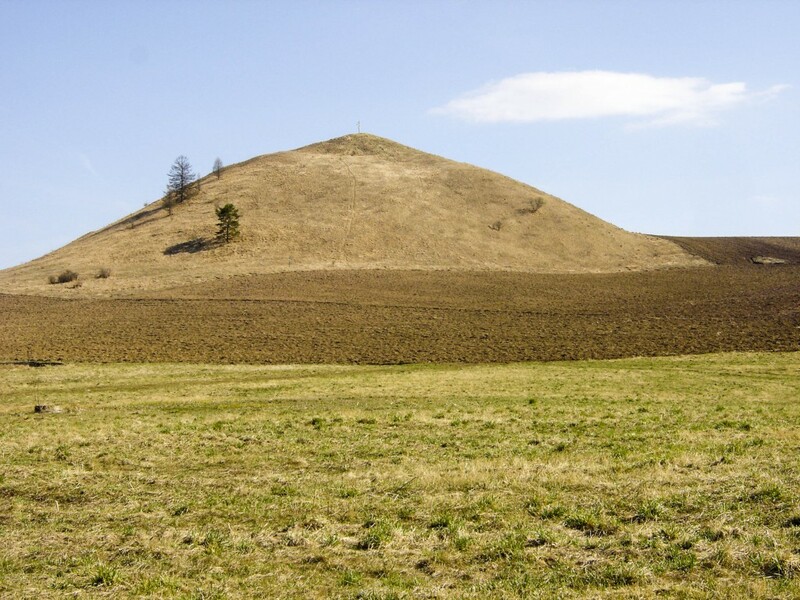 The oldest sanctuaries of the prehistoric man are natural objects in the nature. The most impressive ones have been preserved till now as various rocky structures.The cultic place- the rocky reef of unusual shape could be used for ideological needs of the distant civilizations. It was kept in the original state and its look wasn´t changed during the millenniums. 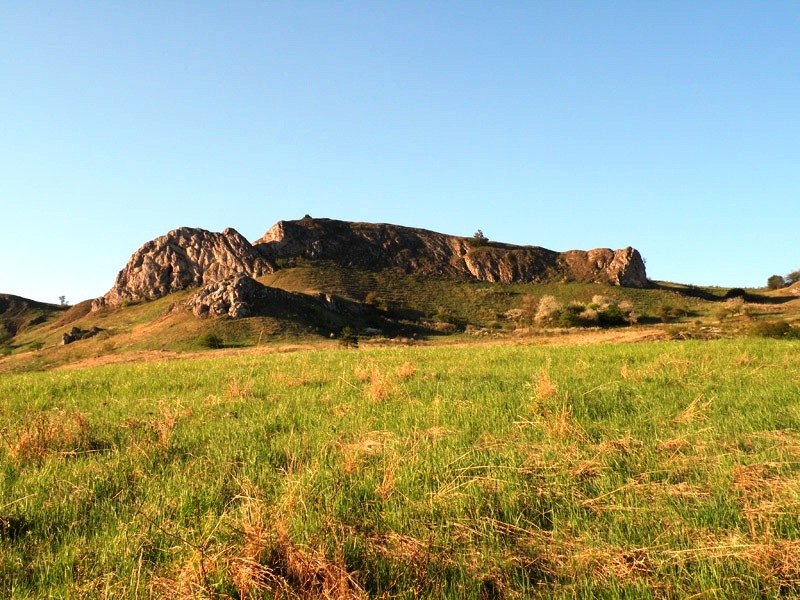 The oldest well preserved name is Sleeping Giant. Later renamed to the Sleeping Monk after the tenth century. 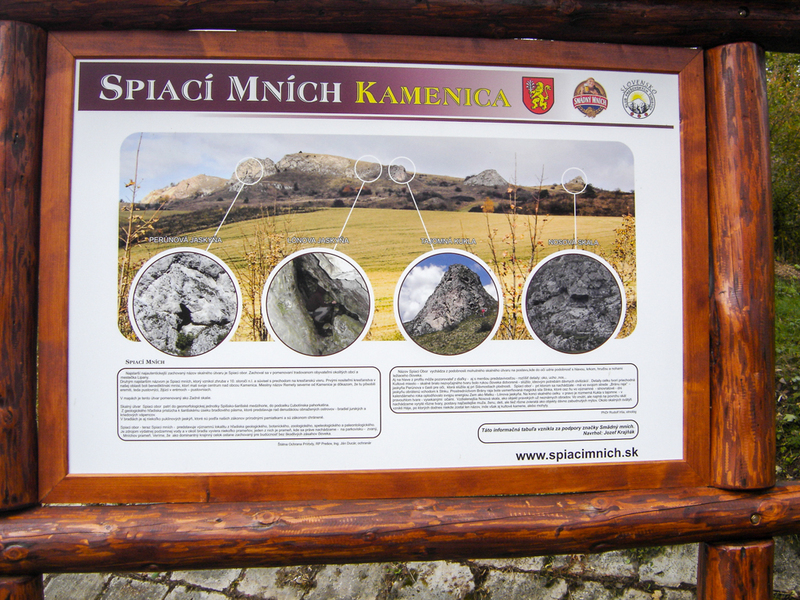 That one was connected with the Christian belief.The Benedectine monks lived in the centre above the village Kamenica. 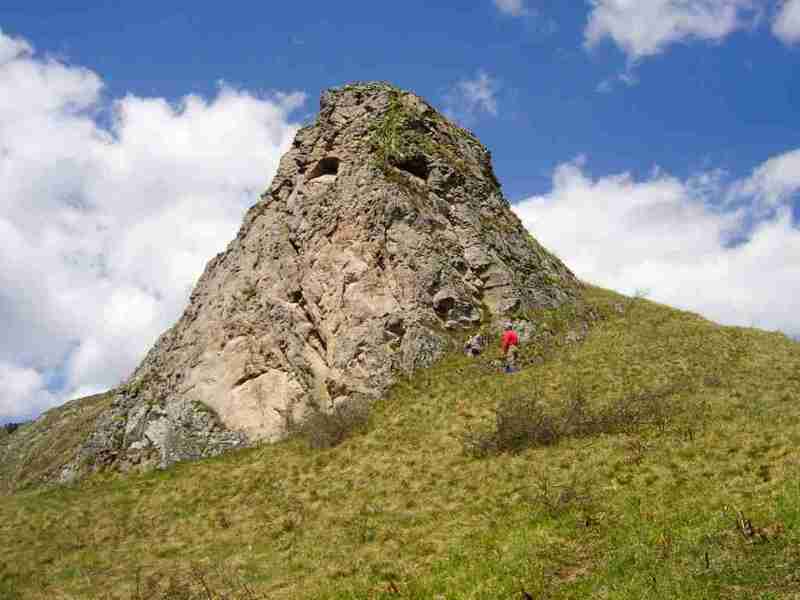 The local name Remety is the right evidence of eremits´ influence there.The newer names of that rock structure are: Sleeping Prince, Indian, Rocky Woman,Rocky Old Woman or Sleeping Virgin. The most frequently titles of the cultic stones are: The Rook Stones .The common element of those objects is the name connected with the ancient function.The Paradise Gate, situated in the middle of the stone, has magical meaning. Sleeping Monk has also in its middle the „ Paradise Gate „ – the cave facing to the Sun. Through the gate the magical Sunny power was directed on important days of calendar days- at solitice the Sun was fertilized the Earth as a mother with its energy. The above mentioned function has the locally named “ The Perun´s Cave.“ It is a mutually walked through and artificially completed 4 metres high and 12 metres long. 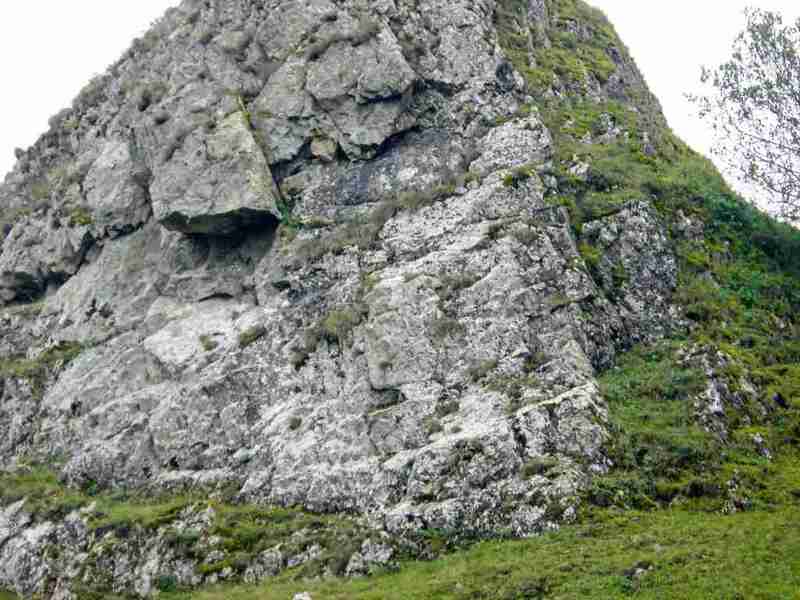 Entryways to the cave are formed „with the eyes“ on the head of the lying figure. We can see more figures in the harmony of the Paradise Gate and the ancient celebration of the life circle in the nature. There is a great amount of pictures and figures on the stones and smaller rocks around the Sleeping Monk. It seems people created a neck with the help of the artificial moat.The lying figure was completed by the people as they went along. 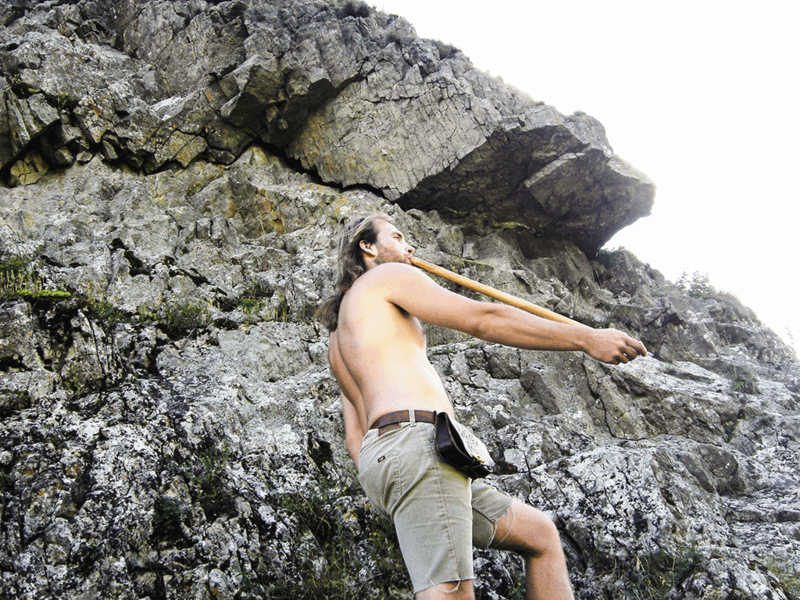 Animal imitations were also created from the rocks. It is possible to find a mouse, a falcon structures there. On the right is a cliff finished with the huge relief measured 12 or 15 metres. Mysterious face with the large right- angled dragon´s eyes named Mask was cut into the rock.The face is similar to the figure of the legendary Czech fairy tale because of its name Mask- Golem. Next to the right we can find individual hilly rock with the coned shape. On its opposite side stone parts are created. 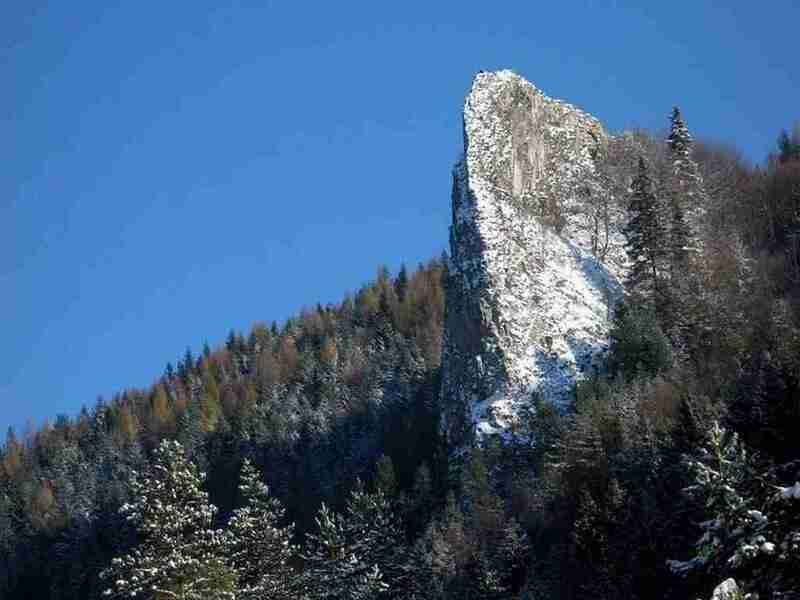 There is a striking square nose with the hight and width of one metre also created to the stone. The total composition is hidden with the high form of the secret head. 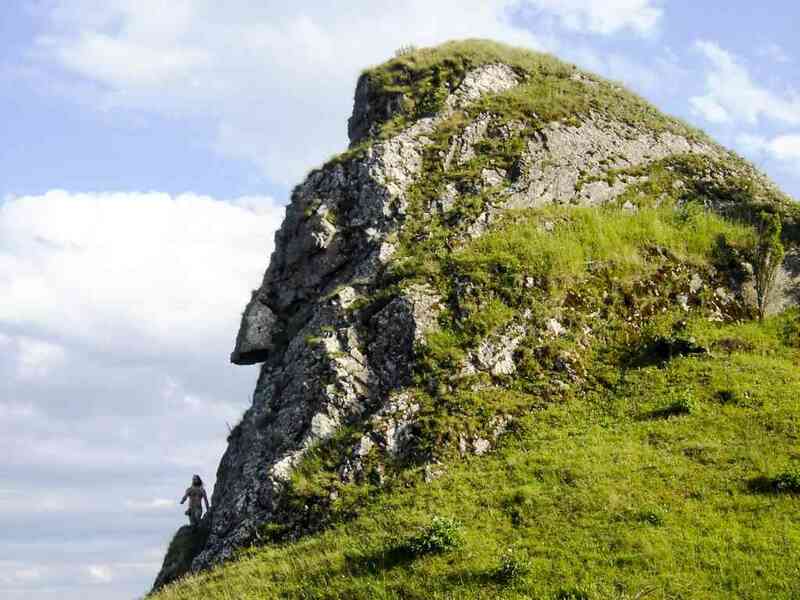 The face is named „ Nose Rock „. There are many stone pictures in the small space offering interesting shapes with the mythological importance. We can find the figures of the man, woman or children or various kinds of animals and objects. All those forms are not randomn. Their shapes were formed by human hands. During the millennials the outside world was also changed. 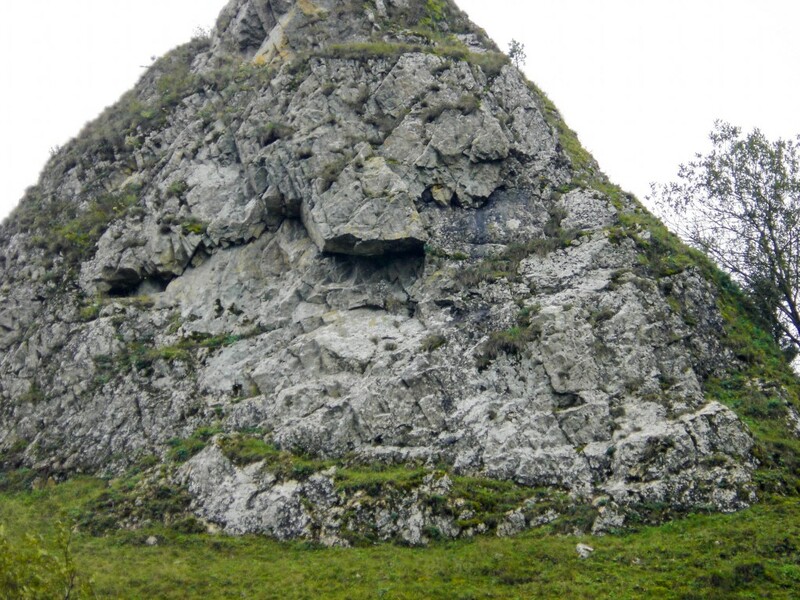 The Sleeping Monk of Kamenica is one of many natural stone shrines, some of those are in the surrounding. 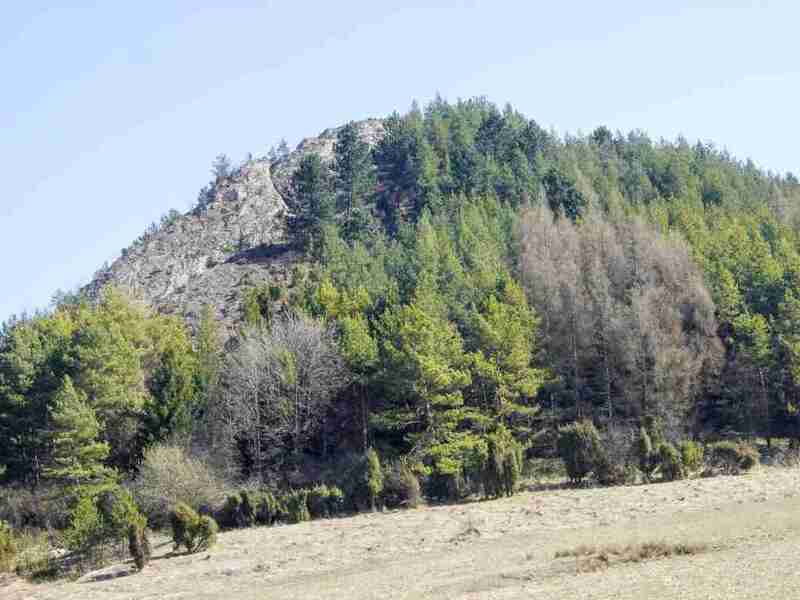 The Falcon Stone is seen from the distance protected from natural seeding. Those objects had the shrine character for our ancestors. 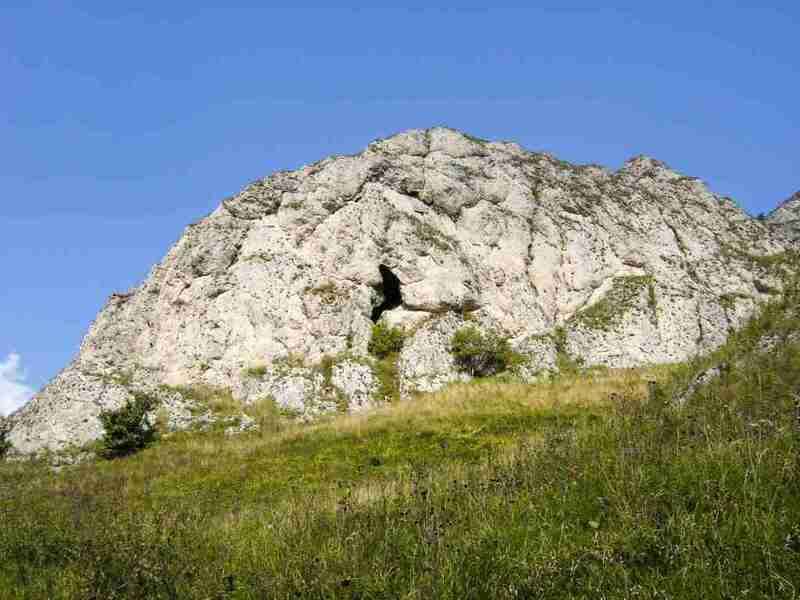 Our Sleeping Monk in Kamenica is the right evidence of the ancient culture of our ancestors. 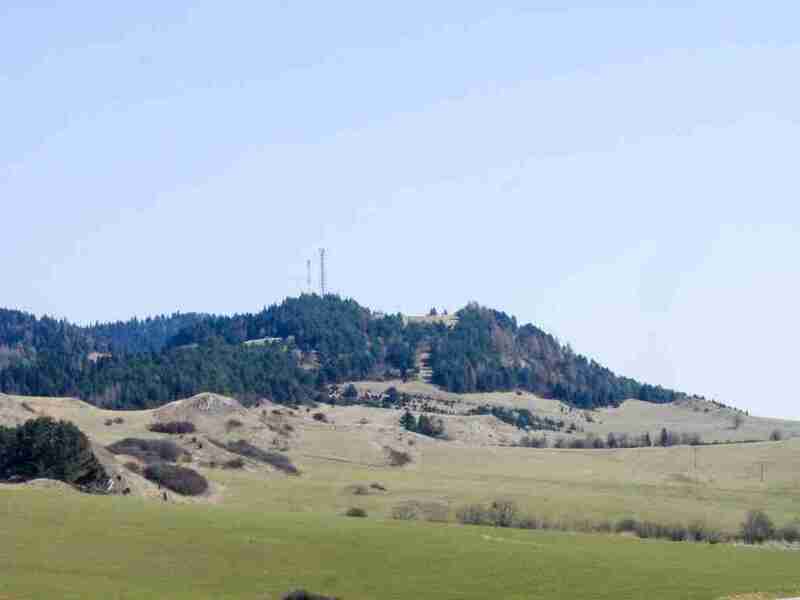 It is seen from the distance and within easy reach by walking- 20 minutes´walk from the tidy car park on the way Prešov- Lipany- Stará Ľubovňa situated above the village Kamenica. 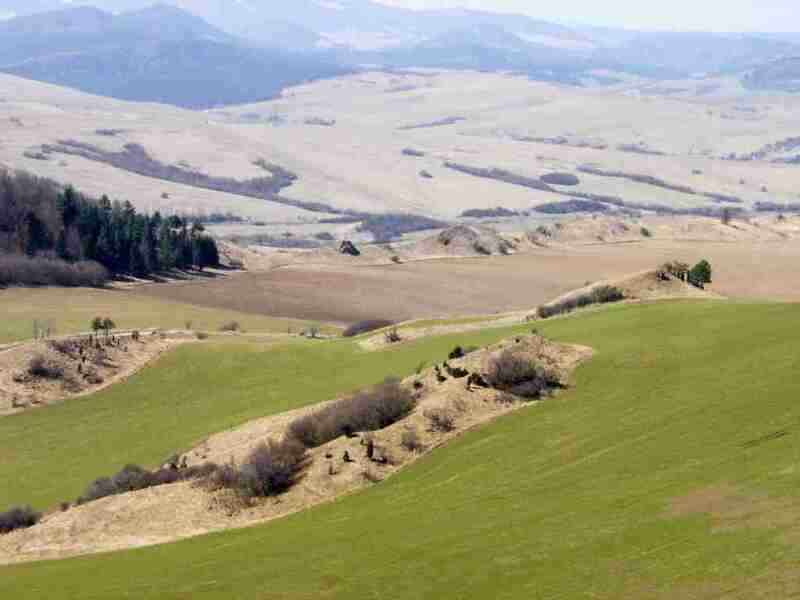 A Panoramatic view on the surrounding is magnificient from the highest part. The Sleeping Monk near Kamenica is a magical place with the large energy and “staying in the nature for a while“ is strong and nice experience.